In 1968 Joel Silver introduced his idea of Ultimate Frisbee to the Columbia High School student council in Maplewood New Jersey, USA. The next year, the first game was played between two groups of students. They used a Wham-O Master disc. In 1969 a team had been formed at the school and they played in a parking lot. The only lines that existed were the goal lines, usually marked by the telephone poles or piles of the players' coats. The first and second set of rules were written in 1970 by Joel Silver, Buzzy Hellring and Jon Hines. On Nov 7th, CHS played the first interscholastic game. They won over Millburn High School by a score of 43 to 10. The first college ultimate game was played between Rutgers and Princeton on November 6, 1972. Rutgers won the game 29-27. The two universities had played the first intercollegiate football game on the same ground exactly 103 years earlier. Rutgers also won that game by 2. The first organised tournament, The National Collegiate Championships, was played on April 25th in 1975. Eight teams took part in a tournament in Yale. Rutgers University won the final against Rensselaer Polytechnic Institute with 28-24. In 1976 the Yale tournament was expanded and renamed into the National Ultimate Frisbee Championship. Rutgers won again. Ultimate was also in 1975 introduced into the World Frisbee Championships. In 1983, the first true World Ultimate Championship was held in Gothenburg, Sweden. Two club teams, representing USA, won open and womens divisions. The European countries were represented by national teams. In 1989, ultimate was shown as an exhibition sport during the World Games in Karlsruhe, West Germany. That year also saw the first World Club Ultimate Championship, in Cologne, West Germany. 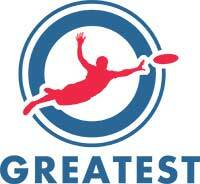 In 2001, ultimate was included as a medal sport in the World Games in Akita, Japan along with disc golf. 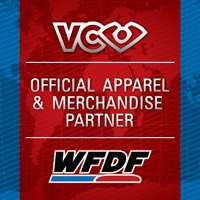 Six countries were invited to compete based on their finishes in the WFDF 2000 World Ultimate Championships in Germany. Canada won the World Games gold medal with an overtime victory over the United States. In 2009 the World Games in Kaohsiung, Chinese Taipei, Ultimate outdrew all other sports with more than 50,000 paid attendance. Ultimate is now played by an estimated 5,000,000 players in over 100 countries, with USA Ultimate having over 31,000 members. The 2010 WUCC in Prague, Czech Republic was the largest ultlmate meet to date, with over 2800 players and 136 teams from 36 countries participating.